Gorgeous 2 bedroom, 2 bathroom condo/apartment in the brand new resort of Terrace Ridge situated on CR545 very convenient to the area attractions, shopping and restaurants. 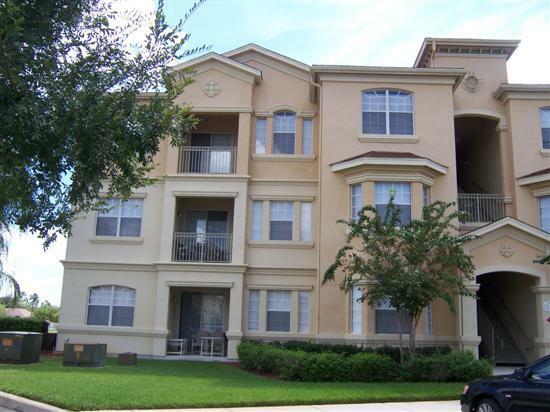 This 1276 square foot condo has ground floor access and is wheelchair friendly. Furnished to a high standard throughout, the living room features a sleeper sofa, cable TV, DVD and high speed internet access. There is a separate dining area with seating for 4 and a fully equipped kitchen with all appliances, pots & pans, cooking utensils, dishware etc. The master bedroom has a queen size bed and a large en suite bathroom. The second bedroom has 2 twin beds and access to the second bathroom. 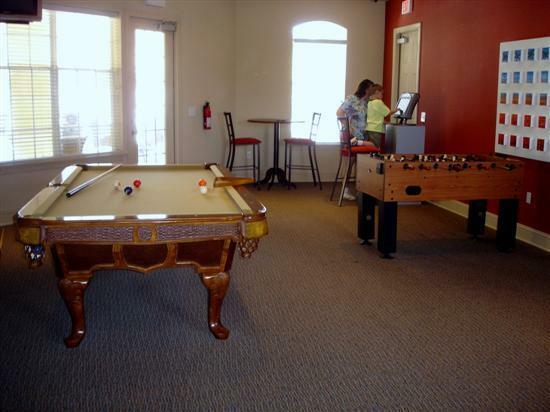 All towels and linens, plus a full sized washer and dryer are also included for your convenience. The exclusive community clubhouse has been finished to an extremely high standard and features a fitness room, games room, TV area, lounge seating and kitchen facilities. The large heated pool and sun terrace area is furnished with comfortable chairs, loungers and tables. There is also a 9 person Jacuzzi, changing and toilet facilities. Sleeps up to 6 people. Children’s Playground, Gated Entry and Champions Gate Golf course next door. Es un excelente lugar, 100% recomendado, seguro y muy tranquilo. El servicio brindado es excelente. De hecho los tomaremos en cuenta para nuestras siguientes vacaciones.